Pioneers in the industry, we offer c purlin, hr z purlin, z purlin, galvanized purlins, industrial z purlin and steel purlin from India. With innovative ideas comes innovative products one of which is C Purlin. A horizontal structure that is used to support the load from the roof, deck or sheathing. No rounded corners, inaccurate lengths or out of square purlins anymore. We are the leading manufacturers of HR Z Purlin. A Z Purlin is a horizontal structure that is used in roof support of the loads from the roof deck sheathing. Supported by principal rafters, building walls and steel beams our Purlins are available to cater the demands of architecture and structural engineering. Z Purlin, a metal roof typically propped of internal walls that are constructed with cold formed steel sections that can be lapped and nested at the supports. Used in buildings, garages, verandas and carports wherein a strong and reliable framing is required. Catering to customer’s requirements we are engaged in offering Galvanised Purlin. 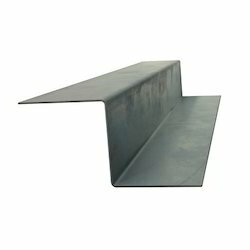 Made available in C and Z shapes in cut to length can be overlapped from end to end making it idyllic for elongated period of time and appropriate for very huge roofing applications. Moreover, they are more expedient for squatter runs such as garages and carports and are available in sizes and specifications as per customer’s requirements of applications. A Purlins is a horizontal structural that is used in a roof to support the loads from the roof deck or sheathing. Catering to the demands of architecture or structural engineering, our Purlins are supported by the principal rafters and/or building walls and steel beams. 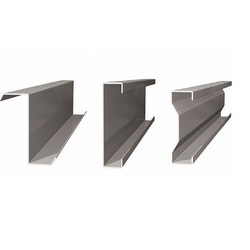 Purlins, Industrial Z Purlin, purlins metal roofare typically propped off internal walls that are constructed from cold-formed steel, (or roll formed) sections that can be lapped and nested at the supports. We manufacture a complete range of structural Z & C Purlins for industrial buildings,garages, verandahs and carports, in fact for any structure that requires strong reliable steel framing. Manufactured from galvanized steel, this fully integrated system allow for flexible design options. The flexible shape of these lightweight beams makes it possible to design constructive solutions with a wealth of special advantages. We provide purlin in various thicknesses with similar depth for same structure, which assure cost-effective prices for the structure. • No rounded corners, inaccurate lengths or out of square purlins. A Purline is a horizontal structural that is used in a roof to support the loads from the roof deck or sheathing. Catering to the demands of architecture or structural engineering, our Purlins are supported by the principal rafters and / or building walls and steel beams. 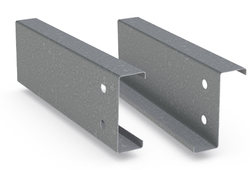 Purlins, Z purlins steel, C purlins steel, purlins metal roof are typically propped off internal wall s that are constructed from cold-formed steel, (or roll formed) sections that can be lapped and nested at the supports. We manufacture a complete range of structural Z & C Purlins for industrial buildings, garages, verandahs and carports, in fact for any strictire that requires strong reliable steel framing. Manufactured from galvanized steel, this fully integrated system allow for flexible design options. The flexible shape of these lightweight beams makes it possible to design constructive solutions with a wealth of special advantages. 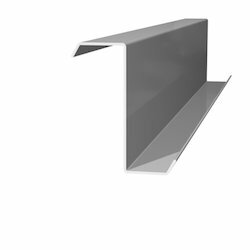 We provide purlin in various thicknesses with similar depth for same structure, which assure cost-effective prices for the structure. No rounded corners, incaccurate lengths or out of square purlins.